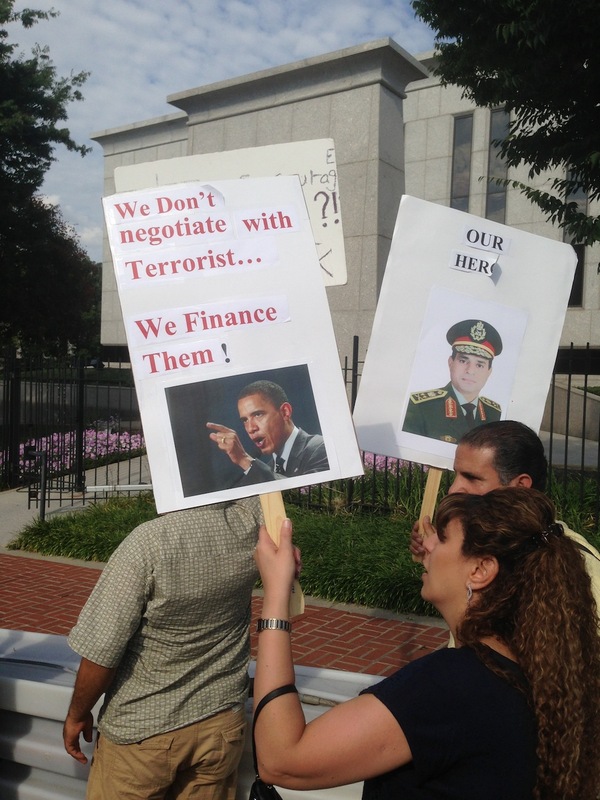 On August 22, several hundred Egyptians and Egyptian-Americans hit the streets of Washington DC to show their support for General Abdel Fatah Al-Sisi and the regime that overthrew the elected President Mohamed Morsi in a military coup on July 3. And what is Sisi? If not a terrorist? These ‘protesters’ are obviously paid vermin of the Egypto-Americo corporation.